An apple a day keeps the doctor away. Who hasn’t heard this wise advice? Apples are high in fiber and pectin making them a perfect detoxifying food. They are rich in vitamins A, B1, B2, B3, B5, B6, B9 and C. Apples also contain potassium which helps balance cholesterol and lower LDL. The malic acid in sour apples stimulates fat metabolism and liver detoxification. 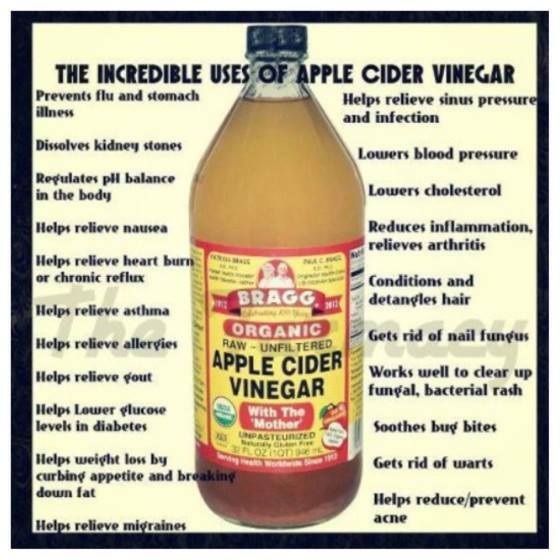 And a quality apple cider vinegar contains these benefits plus much more! Since 400 BC, Hippocrates (the father of modern medicine) and others have used vinegar and vinegar mixed with honey, as an energizing tonic and a healing elixir. Braggs ACV retains all the nutritional goodness of the apples from which it was made, plus it is fortified with the extra acids and enzymes produced during the two fermentation steps. Raw organic ACV has the ‘mother’ of the vinegar. The ‘mother’ is made up of strand-like enzymes of connected protein molecules with living nutrients and bacteria (similar to the ‘mother’ that’s in Kombucha). It’s the sum of all these ingredients that give apple cider vinegar it’s amazing health benefits. ACV acts as a protective coating which soothes the irritated lining of the colon. Unlike white, red or other vinegars (which create acidity in the body) Braggs ACV has an alkalizing effect on the digestive system. 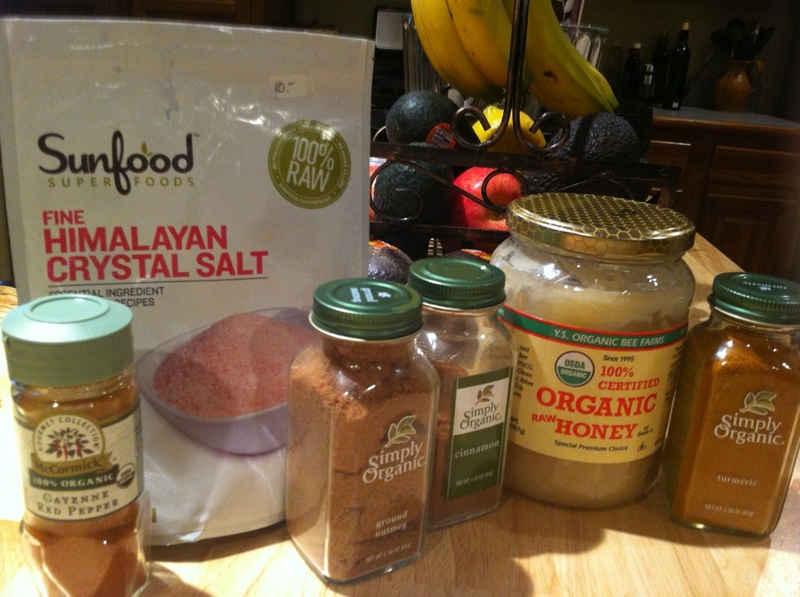 Raw Honey has many health-promoting qualities. It contains natural antioxidants, enzymes, amino acids, vitamins, and minerals. Raw unprocessed honey contains calcium, iron, zinc, potassium, phosphorous, magnesium, copper, chromium, manganese and selenium. (The trace mineral selenium is necessary for the proper support of immune system health). 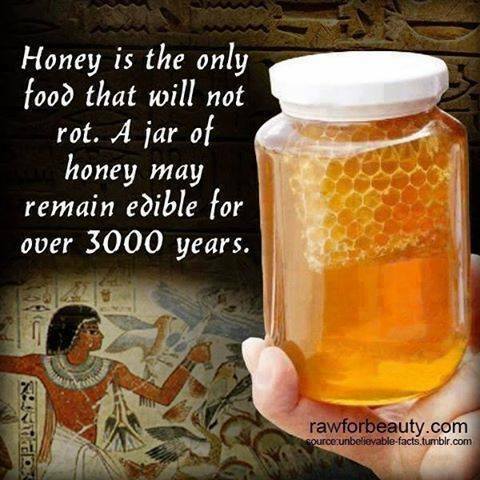 Nutraceuticals are also found in honey. These important nutrients provide health benefits beyond those involved in normal metabolic activity to assist in neutralizing the free radical activity in your body, and are vitally important for overall function of your immune system. Raw honey consumed at night provides nutrients to facilitate the conversion of serotonin into melatonin (the sleep hormone). For children you can use less ACV and little to no cayenne pepper. I have also used fresh lemon juice with just a bit of ACV and referred to it as “warm lemonade”. This entry was posted on July 29, 2015 by thrivecoach12 in Thrive vs Survive Articles and tagged alkalizing effect on digestive system, apple cider vinegar drink, apple cider vinegar recipe, balance cholesterol and lower LDL, honey recipe, immune system health recipe, natural antioxidants, perfect detoxifying food, recipe to heal your body, sooth irritate lining of the colon.